Heard this show had some good rep and a nice story. My friends, that is an understatement. The framing, the music, the sound effects, the characters, the story, all of it is amazing. Reminds me of listening to old radio shows with my grandfather. Helps keep me going. I love this show. Thereâs a lot I have to say about this podcast and I donât even really know where to begin. Queer media made by queer folks for a queer audience is so hard to find, and the Penumbra crew has blown it right out of the water. This show is so diverse and full of representation across so many spectrums, and Iâve never felt so represented in my life. On top of that, the stories they tell are so well written and very VERY compelling. I was on the edge of my seat the whole time. Iâm also a sucker for symbolism and thematic evolution, both of which Penumbra has in spades. I was invested from the start. Their characters are very relatable, and especially Juno holds a special place in my heart, and his character development has honestly helped me work through some things in my life. I canât wait to see where he goes next. Iâm so glad that this podcast was recommended to me, and I look forward to what they do next!! I haven't gotten into the Second Citadel series yet--but Juno Steel has me hooked. I originally stumbled upon the podcast because I had heard that it has great representation for the lgbtq+ community and let me tell you, I was not disappointed! Not only does it have a diverse cast of characters, it also has extremely interesting stories. I'm usually not one for crime or scifi, anything of that nature, but this podcast proved that there's most certainly an exception. I'm deeply invested in Juno, his career, and his unstable love life...can't wait for more. I couldn't recommend this podcast enough! The only complaint I really have is that the same voice actors keep playing different characters...which can become a tad bit confusing at times, but other than that, it's flawless! I happened to find this podcast while I was on a horror story kick! This is some of the best story telling Iâve encountered on iTunes. I couldnât be more in love!! Not to be all "this podcast made me gay," but seriously, this podcast (and Sophie) forced me to articulate my feelings about gender in a way I'd been avoiding.AND IT'S AMAZING.The storytelling is astounding, the cast is INCREDIBLE, the sound engineering.... is great by the end of season one. Seriously, listen to the remastered versions of the first episodes. I mean, also listen to the originals because there's a couple of scenes that are really delightful that don't make the remater cut, but the remastering is...well. There's a reason.BUT. Every episode is engaging. Season one is fun because you get a couple of one-off stories that really change the pace, but Season two is fantastic. It's agony to switch from one storyline to another, and agony to switch back, but honestly, if it's not an emotional rollercoaster, is it even worth it? I think this could be my favorite podcast. The writing, acting, and sound quality are amazing. I have to admit I like Juno Steel episodes quite a bit more than the one with all the knights and monsters. Canât wait for next episode. Downgraded to 2, about to unsubscribe. Got really excited, saw new episode was up. It was the 5th second citadel in a row. Juno stories are amazing. I hate the second citadel. Hate the story line and absolutely despise the voicing choices. Honestly enough with the second citadel stories. They are crap compared to Juno Steel. This was amazing and so well written. The voice actors all do a wonderful job and are also amazing. I especially loved the Juno Steel episodes; I was hooked from the beginning. Penumbra was my first introduction to podcasts; for anyone looking to get into podcasts like this, I absolutely recommend it as your first!! 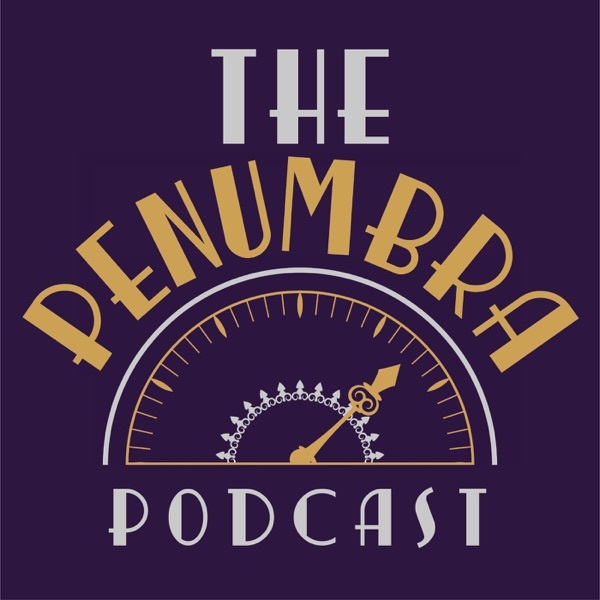 Iâve listened to a lot of podcasts but the penumbra is truly the best satisfying story, plot, acting, music, etc. The characters are incredible and Juno Steel is one of the most relatable and likable characters Iâve ever heard. A true work of art and I canât wait for the episodes to come. Fighting monsters. Fighting your friends. Wrestling with and overcoming your own bigotry. Fearing to trust your own perceptions. Falling in love. Emphatically NOT falling in love. Wielding terrible magical powers. Breaking societyâs mechanics with your personal life. Solving puzzles. Delivering short, panicked lectures on osmosis. Second Citadel has it all. Aside from being exactly my idea of fun, the writing is solid as heck. Once the story finds its footing (takes a few episodes, admittedly), the story elements fit together neatly, the characters are complex, and the dialogue is funny and interesting despite almost none of it being your typical witty banter. But itâs more than well-written; this podcast is almost literary. There are so many dots to connect in terms of plot, character, and background symbolism. Most of the lit-crit-geek stuff is subtle enough to be ignored if youâre not interested in the details of salamander mythology, but if your idea of a good time involves digging up botanical and Arthurian easter eggs, you will enjoy yourself immensely. Itâs not perfect. Thereâs a weird dearth of physical description of characters. And some of the sound effects are like: *sound of broken garbage disposal* âIt sounds like an army thousands strong come to bring about the end of the world!â Personally, I donât care, but I can see that bugging people. In conclusion, Second Citadel was written for me and me specifically. Iâm about to go back and start listening to the Juno Steel storyline; hereâs hoping itâs as good. I love this and would 100% recommend!! Very well done! So addictive, creative, cute, gay, exc... everything anyone could ask for in a collection of awesome stories!! This podcast gets me more and more hooked with each episode released. The stories are amazing, the characters are astounding, and the voice acting is absolutely incredible. I've never had a bored moment listening to it, and I thank everyone who's had any part in creating it! There are no words that could describe how good this podcast is! The production and sound quality is just so, spectacular, and the voice acting is amazing. The soundtrack too, is the most amazing iâve ever heard in a podcast, pulling from noir inspiration and itâs quiet nostalgia. The setting of the Penumbra being set somewhere so close and yet so far from todayâs grasp just keeps me coming back. I am obsessed, and every case has me on the edge of my seat. This is like listening to audiobook it is awesome!! I absolutely love it ! Excellently thought out âradioâ plays that are genuinely intriguing, with plot and characters that are equally interesting. LGBT characters are integrated seamlessly, so their sexual orientation/gender is not the point, itâs just a thing that is and then we move on with the story/character/etc. And that is really nice. The main character of the Juno Steel series is non-binary, and as an enby who had never encountered non-binary characters in media, that meant a lot to me. Thanks, Penumbra! Iâve loved this story from day one, but when they released that Tal is asexual/aromantic (or at least one of the two) I felt a whole new love for the show. They do an amazing job at giving representation to a lot of different walks of life! The stories always keep me engaged and Iâve found myself more excited for side stories some days even! I cannot wait until after the holidays for the new episodes! Nearly everything I ever wanted in an SF/fantasy podcast - good acting, good writing, good sound design, diverse characters! It is consistently amazing. This podcast deserves every star it has and more. Do you like stories that make you laugh? This podcast has that. Do you like stories that make you think? This podcast has that. Do you like stories that make you cry in a public lobby in front of people you only vaugely know? Specific, but this podcast has that. (It may be from personal experience). In all seriousness, this podcast is a beautiful combination of deft editing, incredible music, and intricate, beautiful, poignant stories. It's queer, explicitly and beautifully so, and every tropey straight thing that you've looked longingly at and dreamed of one day having they will give you. It grabs you by the heartstrings and bruises you right up and then spits you back out again and you're grateful because it was amazing. I CANNOT reccomend this podcast enough and I can't wait to see where they take us travelers next. The pacing, production and spin of the stories contained within is refreshing, engaging and a wonderful way to spend some time. You ever encounter a story and get that feeling of âthis was written for me, right now?â Like a bunch of talented people dropped a gift in your lap. Love the Juno story. One of the best voice actors out there. Story is both light and fluffy fun and deep. this has become my second (only to welcome to night vale, though) favorite podcast, all time, very, very quickly. iâve been screaming and rambling about it to everyone i know for the past two weeks. the first thing that caught my attention was the juno steel/rex glass flirtation right in the first episode. that was when i realized this podcast wasnât screwing around with the whole âyou deserve to see yourself in storiesâ mantra. they are absolutely dedicated to that, and thatâs very important to me as an ace/aro queer gal. as i got into the second citadel story and discovered an asexual character, i cried because i was so happy to, for the first time, see myself in a character i related to before i even knew of his asexuality. one of the criticisms iâve seen is that it feels like itâs trying to cash in on the LGBTQ+ representation as much as possible, but i think itâs better to look back at their mantra and remember that they are telling stories about queer people that have never been told in this way before. by that, i mean the stories are... you know, actually *really* good and new and refreshing. they twist the cliches into something that you love instead of groan at, and they finagle the aspects of fantasy and noir detective stories that you expect and turn them into something else entirely. this podcast is a category all its own, and while there are certainly some aspects that could be improved on, as with all things, all i can think to talk about is every amazing thing it is doing right. This is a great podcast with two interesting fantasy stories. Now for the but. In season two the producers give a rather long political speech on elections in an attempt to push their own agenda. If listeners wanted political commentary they would choose political podcasts. It has no place in audio drama. Dramas are to be fun, not just another way to force politics down our throats. I would have given 5 stars if they hadn't gone down that tangent. The Penumbra takes old genres and concepts and breathes new life into them. From science fiction to noir to fantasy and westerns, thereâs a little bit of everything! All of the stories have fantastic, gradually revealed worlds that draw you in, and I really canât get enough of the characters either. From smart-mouthed PIs to exiled combination scientist-herbalists, thereâs such variety and charm to the whole cast. The icing on the cake is that all of the stories are diverse and inclusive as heck! Great content and story lines. Listeners can chose between serialized story lines or one shot stories. I love the unique characters and settings; a city on Mars set in the 42nd century, a fantasy realm with monsters and knights in the 1200s to name a few. God, I love this podcast. I am completely immersed in the life of Juno Steel, Private Eye. It has some of the soulfulness of Chandler, with genuine poignancy flashing through the hijinks and crabby wisecracking. And itâs also funny, exciting and romantic (when Peter Nureyev is around). Plus itâs set on Mars! When you need an escape from your sordid reality, there are few better places than Hyperion City. LOVE. Iâm absolutely in love. Not only is this a podcast made by people with incredible talent, but the stories are incredibly inclusive of marginalized and/or minority groups and incorporate them flawlessly. I love that there is no âcoming outâ, but the idea of queerness is just casually included with no real comment. Beautifully made, groundbreaking. Hope the episodes keep coming, because Iâm absolutely in love with it. There was a period, when I was a teenager, when I was OBSESSED with old radio dramas from the 1940s. Mystery and suspense mostly. I devoured everything I could get my hands on. And The Penumbra manages to capture everything about those old radio plays that drew me in and stole my heart and then adds even more. Not only do they present interesting stories, but their characters feel like they have real depth to them, even when outrageous, and they know how to break your heart and make you thank them for it. The writing is engaging, the actors are phenomenal at conveying emotion and mood through just their tone. The actors for Juno Steel, Peter Nureyev, and Sir Cassandra are particular stand outs for me, but really every one of these talented performers deserve a paragraph all their own. The music is fantastic, asserting itself just enough to add to the scene and be familiar after a few episodes but never distracting from the action. Most delightfully for me, as a queer person, is the varied gender and sexuality on display, and how - specifically in the Juno Steel stories - theyâre not noteworthy within the world of the story. If you live in the world of Hyperion City, you can be whoever you are with no questions asked and no eyelashes batted - and Juno will know to call you âtheyâ from 100 ft away ;) itâs refreshing, exciting, and truly emotional for me to see people like me presented within the full range of people in the world. From the tortured noir hero Juno to a corrupt mayor to a police lieutenant refusing to be penned in by binaries; from a former military woman turned PI and her fiancÃ©e to a hilarious secretary flirting with a murderous security guard to a black market madam with a wife and an unhinged ex all loving women while being women themselves. I see myself all over this series and itâs made me cry more than once from utter joy and relief because The Penumbra proves that there is a place for people like me in the kind of stories I love. Ultimately, you should really listen. I promise you wonât regret it. Welcome aboard, fellow travelers. It's a lovely podcast with diversity in queer characters. Not so much diversity with a mostly white cast who voice supposedly racially diverse characters. Overall the quality of the podcast is good and the queer representation is great and wove in naturally. But ignore the official art if it doesn't match up with what you imagine since the voice actors arn't as diverse as the characters they represents. Such an excellent example of the film noir style in the main series, and plenty of interesting tales to go along with it! Also, all the representation, which is amazing! I couldnât get passed the first episode. It just sounded silly and early ridiculous not to mention a bit over-the-top! It only took 5 minutes into the first episode for me to fall in love!!! The story is interesting and the characters so realistic. The actors and writers are obviously extremely talented!! amazingly made, really interesting, fun, and super heartfelt. i love it!! The Penumbra does a good job of making the listener really care about the characters and be interested in the plot. It's a lot of fun to listen to, and I'm always excited to see what comes next. A really fun podcast, and I really like its new takes on old genres. The creators clearly care about the shows characters and the shows fans. Super great! I just started this and itâs already one of the best things I've ever heard, definitely worth a listen. Get Into Creepy Radio Plays! I love this podcast. It has become two ongoing stories: Juno Steele and The Citadel. The first season had more variety, which I do miss! But they settled in the best two stories. You will like this podcast. Try it! !